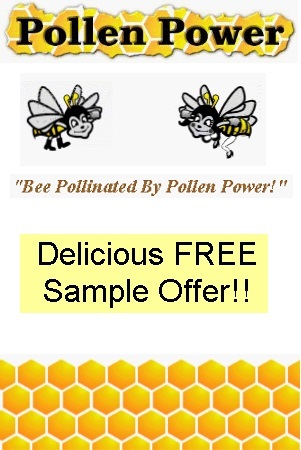 For a sample of this delicious bee pollen free of charge, please click the “Snag This” link and fill out the form to have them mail you a free sample. Bee pollen contains vitamins A, B Complex series C, D, E, K and Rutin. It also has enzymes and Co-Enzymes necessary for good digestion. Healthcare Researchers now believe that Bee Venom can kill the HIV Virus!